Roche has withdrawn an application to the European Medicines Agency (EMA) for an expanded use for its immunotherapy drug, Tecentriq. 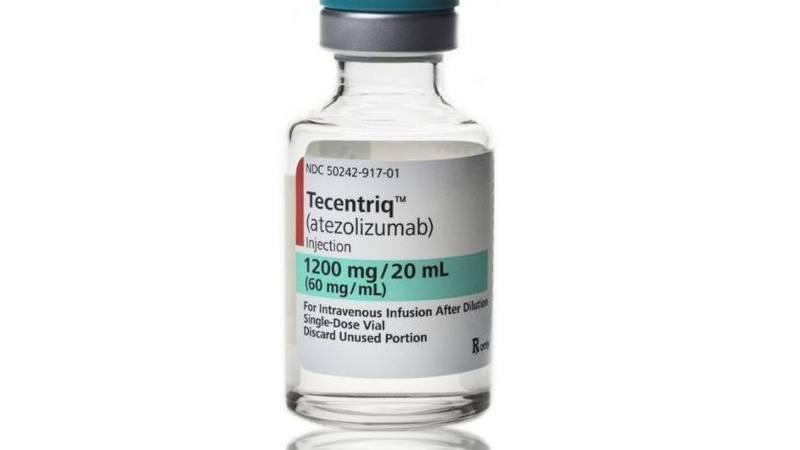 The Swiss pharma firm had been studying the effects of programmed death-ligand 1 (PD-L1) inhibitor Tecentriq (atezolizumab) in combination with Avastin (bevacizumab) to treat kidney cancer. Roche’s application was for Tecentriq plus Avastin to be used as a first-line treatment for unresectable advanced or metastatic renal cell carcinoma (RCC) but the data supporting this use was deemed insufficient. The letter added that the study would continue as per protocol to the next analysis for overall survival (OS) and also stressed that the withdrawal did not affect any other clinical trials of the drug as a monotherapy or combination therapy. The application was withdrawn before the Committee on Human Medicinal Products (CHMP) had the opportunity to make any recommendations to Roche. Tecentriq is already authorised for treating urothelial carcinoma – cancer of the bladder and urinary system – as well as non‑small cell lung cancer (NSCLC) and has been authorised by the EMA since September 2017. PD-L1 works by switching off immune cells that would otherwise attack the cancer cells and inhibiting this mechanism with a drug such as Tecentriq means the patient’s immune system has a greater ability to target and kill cancer cells. The market for treatments for RCC is currently dominated by Pfizer’s Sutent but Merck & Co’s blockbuster, Keytruda (pembrolizumab), a checkpoint inhibitor that combines with Pfizer’s Inlyta (axitinib), shows significant promise. Last month, results from a phase 3 study, Keynote-426, revealed that Keytruda plus Inlyta outperformed Pfizer’s oral multi-kinase inhibitor Sutent (sunitinib malate). Trials of the latter combination are ongoing but it has already been shown that Keytruda plus Inlyta are superior when it comes to OS and progression free survival (PFS) when used as a first-line treatment for RCC.